We are relocating, retooling our lives and business, and must close for a while. Hopefully we will be back! Masonic Rings, Silver and Gold Pendants, Freemason Jewelry, Original Designs. FREE USPS SHIPPING on orders over $99. Free Domestic Standard USPS Shipping on orders over $99, and Discounted Express and International also available! We keep you updated via email each step of the way until we send you your package tracking information. 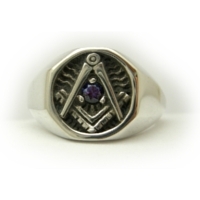 We make Masonic Rings that have soul. Check out our YOUTUBE video page to see some jewelry being made! Please "Like" our facebook page , follow our Instagram, and twitter! Or, sign up at our website here as a customer and subscribe to our newsletter!